Your cells know how to look after you, they just need a bit of help. As you age your mitochondria do too. From the age of twenty, antioxidant supplies can start to decline, meaning mitochondria can’t fight off free radicals as well as they used to and oxidation sneaks in. You notice it in your skin first, but it’s happening in your other organs too. As oxidative stress damages the cells in your skin and other organs you might start to look and feel older. Until now, the best way to support mitochondria was to take CoQ10 supplements. But while CoQ10 supplements do help, they have been unable to deliver CoQ10 to the mitochondria at levels that make a real difference. 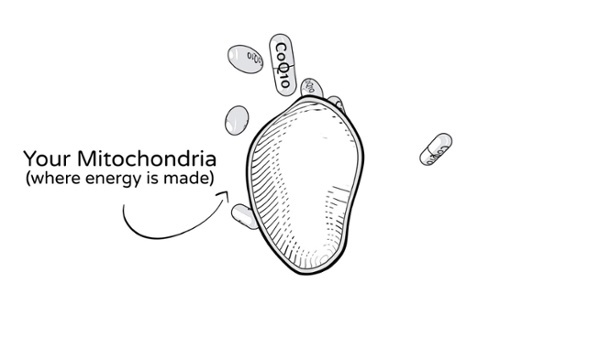 MitoQ® is a mitochondrial targeted antioxidant that delivers the antioxidant CoQ10 directly into your mitochondria, supporting their natural function and restoring their health. This means they can get on with their job, eliminating free radicals, reducing oxidation, and keeping your skin and organs healthy. And MitoQ® does this hundreds of times more effectively than any other CoQ10 formulation on the market. The effect? Your cells start to act and look young again. MitoQ® Skincare supports your skin cells to help achieve youthful levels of collagen and elastin. And when you take the MitoQ® supplement, your brain, your heart, your liver – indeed, all your organs – can get the energy they need to do their jobs like they did when you were younger. You can learn more about the science behind MitoQ® by researching MitoQ® via Google, or by visiting pubmed.com , a research repository on the web.